Happy St. Patrick's Day! I hope you're wearing green so no one will pinch you today (does that only apply to us Irish, or to everyone?) I have a great deal of Irish ancestry on both sides, but one day a year I'm all Irish, of course. 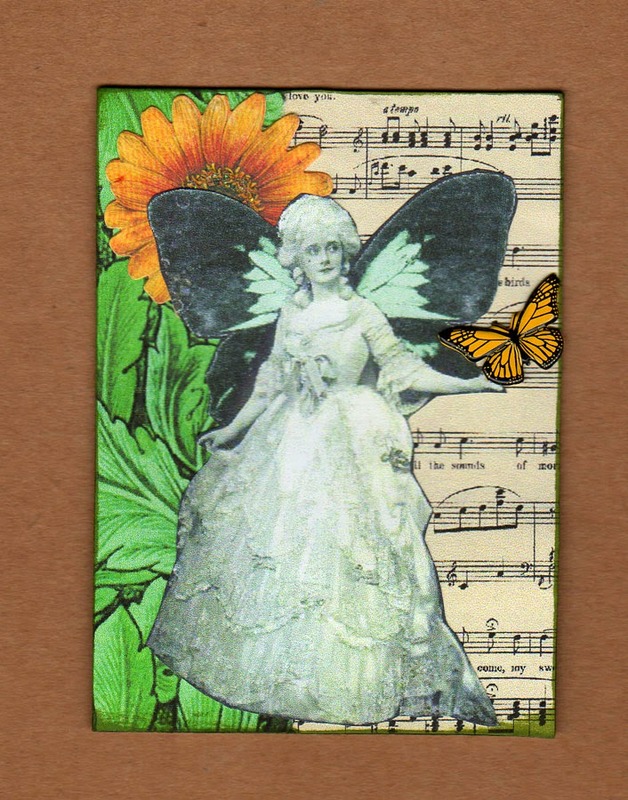 The Shabby Green challenge here at Lunagirl Moonbeams is shaping up beautifully. Take a look at all the gorgeous entries! If you haven't entered yet, or if you would like to enter again, you still have all week to do so. 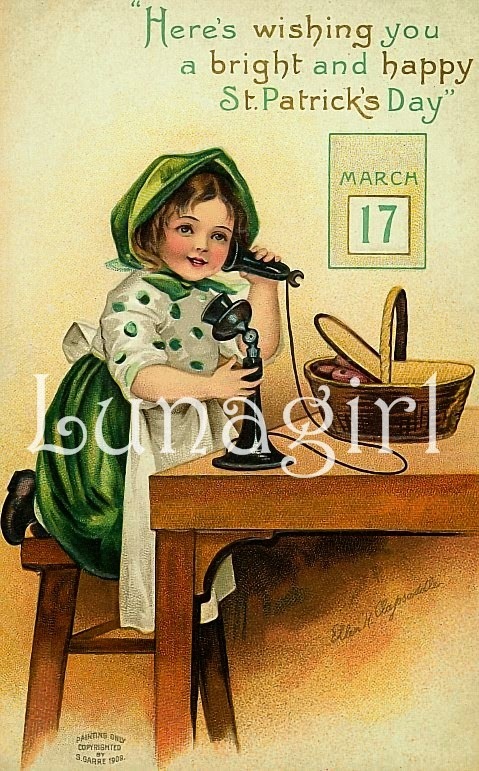 Here to inspire you are more beautiful creations by the Lunagirl Moonbeams Design Team. Link up your Shabby Green creation for a chance to win $10 shopping credit at Lunagirl.com! And pardon me for being so chipper today, but might I just add how great my DT is? Such beautiful work! "I used a number of my scraps today with this card. The bumpy green paper on the side of the card is a piece of homemade paper I had made about two years ago and it was in my scrap drawer. I used the lovely LG "freebie" this time. The little chick and duckling were not on the image I added them so the little girl could be looking at them. Completing the card is the sentiment and a leftover Christmas bow. 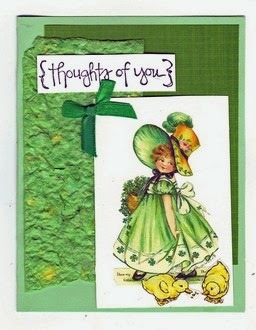 This card is perfect for both St. Patty's day as well as Easter./ Spring." "I am a little bit into jewellery making at the moment and when I saw the images from your Shabby Green collage sheet, I could not resist to make some little scrabble tile necklaces.I hope you like them."